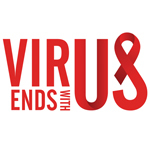 It is best to be informed to understand HIV AIDS better. The National Youth Commission (NYC) calls on drug enforcement authorities and the media to undergo capacity building seminars/workshops on HIV AIDS Awareness. There is a need for these sectors to be capacitated in understanding the cross cutting issues related to HIV to properly handle future cases similar to the recent drug buy bust operations in Taguig City that resulted in the unexpected ‘shaming’ and public disclosure of the HIV status of one of the suspects. While the NYC strongly recognizes the government’s efforts on the ‘War on Drugs’, there is an urgent need to properly handle cases involving those persons living with HIV (PLHIV) to avoid what happened recently. We urge our drug enforcement authorities and the media to partner with the NYC in addressing the stigma and discrimination, undermining prevention, care and treatment efforts and increase the impact of the epidemic on individuals, families and communities. The NYC will continue to coordinate with DOH, POPCOM and institutional partners on health in raising awareness on HIV and AIDS prevention, promoting openness through right education among the youth so we can break down the stigma and silence surrounding HIV and AIDS, encourage Voluntary HIV Testing for the youth who are sexually active and make sure that there is proper counselling that goes with the testing.